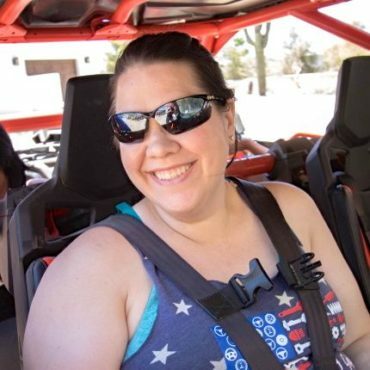 "When Elisa's daughter left for college she bought her first Jeep, "Lady Rebel", and has been researching upgrades and attending Jeep events since. She has been competitive her whole life including Outrigger Ocean Canoe Racing, Mountain Bike Racing, and dirt biking. Due to her injuries she can't hike, bike or ski anymore so Jeeping is her way to test herself, explore and meet new friends. 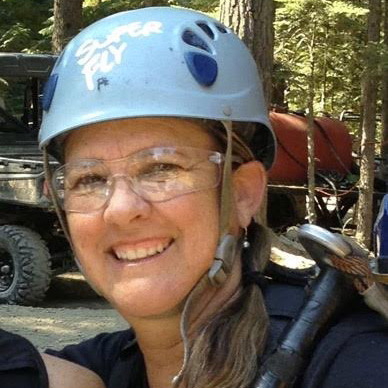 Her and her husband enjoy fly fishing, camping and will be celebrating 30 years together this August." I’m a 58-year old mom with one daughter in college. My husband and I have been married for 30 years this August! I have one sibling (sister), and we grew up camping and riding motorcycles (dirt). I was born in Southern California, living on the beach for most of my life. 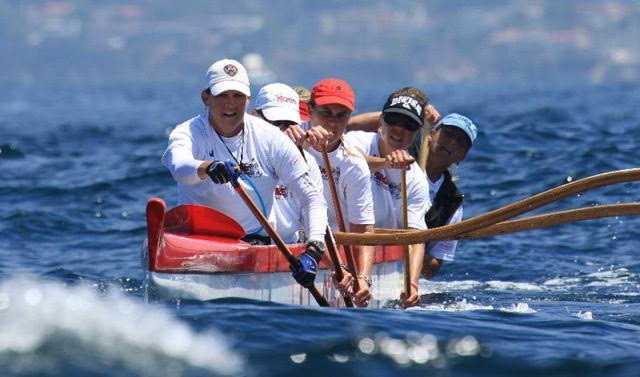 I’ve been a competitive athlete my whole life (two sports come to mind; outrigger ocean canoe racing and mountain bike racing). For many years my husband and I supported our daughter with her water polo and swim meets. I was a team photographer and my husband was the video guy. When my daughter left for college I bought my first Jeep, her name is Lady Rebel. I should have known better! I couldn’t have a stock Jeep, so I started researching and going to Jeep events. Lady Rebel has become my new passion. Five years later, the mods are almost done. I started off-roading in 4th Grade when my family and friends would venture down in Baja. We were great friends with some of the original pioneers in off-road (Bruce Meyers in the Meyers Manx, Ted Mangles, and the whole original Baja 1000 crew). I got into mountain bike racing when in the 80s and 90s, and then back on four wheels when I bought my Jeep in 2012. I’ve been actively building my Jeep since then, taking it on trips to Big Bear, Moab, and Tahoe. My whole family was involved when I was young. It’s in my DNA! I used to sit crammed into the back of a Baja bug with my sister for the all day trip to bay of Los Angeles, to Baja when we were still in grade school, and it’s a passion that just never leaves you. When I had the chance I bought my own Jeep – and now I get to sit in the front!!! 2012 Jeep JK Unlimited (four door) Safari. 4” lift teraflex short arm suspension with new teraflex falcon shocks, 37” nitto trail grappler mt tires on method 17” race wheels, poison spyder body armour and fenders, warn winch, garvin expedition racks, arb front and rear lockers, rebel offroad graphics and the famous “lady rebel” name. The Jeep Jamboree USA Rubicon Trail was by far my favorite off-road experience. I loved the beauty of the Sierras, the technical driving and doing something out of my comfort zone. It’s an iconic trip that was run by a perfectly professional group of trail guides. Who puts a grand piano in the middle of the forest?! We had the million dollar campsite right at our front door and a truly great group to enjoy it with. I’d do it again in a heartbeat. I have three that stand out and all outside of my comfort zone. First is the Kamakazi Mountain Bike downhill race from the top of Mammoth Mountain, CA. from the top of the mountain it’s no brakes down as fast has you can! Second is the Rubicon Trail in my Jeep and finally, Steel Bender Trail in Moab (Easter Jeep Safari). I truly enjoy getting into the dirt and seeing all that our country has to offer. I enjoy challenging myself and getting to that next level. I find not spending too much money on my car to clearly be the most challenging!! I also like getting out of my comfort zone and challenging myself. It is both challenging and very gratifying to be accomplishing my goals as a woman in this sport. I totally get a thrill when I surprise the trail guides and spectators at a tough spot when I pull off a technical spot better than expectations. Making new friends that love the sport as much as I do. I usually start way in advance making lists, researching sites and getting ready. I like planning but can flow if there’s a change. I make sure my car’s ready a week or two in advance to lower the stress. I put all my stuff in the garage the week leading up to the event and add to the things I forget as the time gets closer. Jeep Jamboree USA in Ouray, Colorado. Tell us about who you go offroading with. 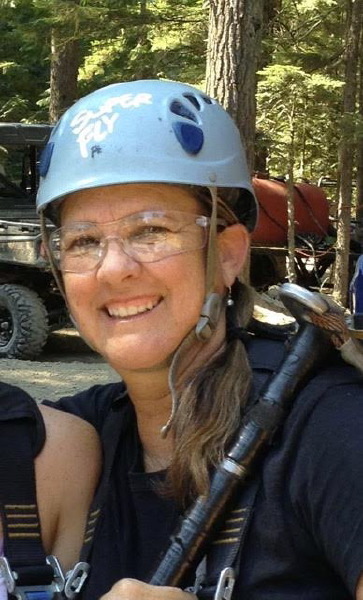 I try to go on trips and trails with the Rebel Offroad Group and my husband and sister have been in the right seat on many of my trips. I try to make new friends on each trip I go on. Learn to drive with two feet. Look beyond what’s right in front of you – planning on what’s ahead. I am truly pleased to know that there are so many other women out there just like me. 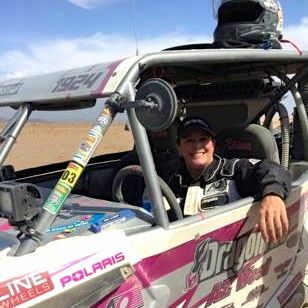 This has been a special experience, and I want to thank Charlene, Shelby, and the whole Ladies Offroad Network Team for all your hard work to pull this challenge/adventure together. The positive experience from all of the ladies and the feeling of a family of off-road women. 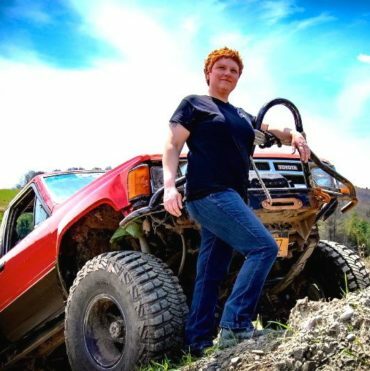 A special thank you to Bond Gilmer and Taylor Blagdon at Rebel Offroad who have been instrumental in supporting my passion for off-roading, and to my husband – my biggest sponsor.